It affects each of us. It’s both the bane of our existence and the resource that provides for our fast-paced lifestyle. It makes some of us rich, while leaving others of us cash poor. It fuels our economy and determines the destiny of many businesses. It’s oil. And its price is volatile and heavily impacted by external forces beyond our control, as recent events demonstrate. Beginning with the chaos in Cairo and continuing with the violent protests in Libya and much of the Middle East, oil prices have been on a dramatic upswing since early February. Industry experts have predicted that, as a result, gas prices could reach more than $5 a gallon by the summer months. Just by the middle of March gas prices around the United States were about 90 cents higher than a year ago, according to AAA of Southern California. But predictions and prices are unsteady, to say the least. Oil prices dropped slightly after the U.N. resolution to use force to stop Moammar Gadhafi’s violent attacks on rebels, as reported in the March 18th edition of the Atlanta Business Journal. And other external forces impact oil prices. As Japan and the international community cope with the impact of the recent and horrific 9.0 earthquake and the tsunami it caused, the diminished demand for oil in the Pacific Rim caused a slight but temporary further drop in prices. But now, once again, oil and consequently gas prices are on the rise. 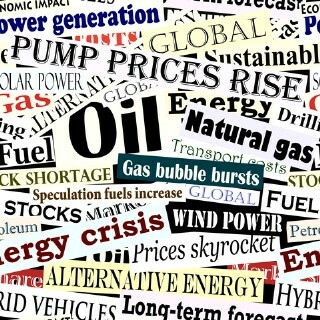 What could all of this mean for consumers and business owners and our economy’s fragile recovery? No one is quite sure. Balancing natural disasters with the political fallout across Northern Africa and the Middle East has made for a cloudy crystal ball. It remains to be seen how high or low oil prices will go in the coming months. But one thing is for sure. Many different types of external forces can cause global waves of business disruption. And these “business tsunamis” are potentially as destructive as their counterparts in nature. So business leaders beware. Business Survival in the sea of economic chaos remains a challenge, whether or not the recession is over. iPhone Winners or Losers? The RECESSION: Is it over yet?